Honorable Mentions: Justin Amash, Glenn Beck, Jim DeMint, Trey Gowdy, Bobby Jindal, Heritage Action, Louie Gohmert, Darrell Issa, Hobby Lobby, Sarah Palin, Jeff Sessions, Steve Stockman, Scott Walker. 10) Mike Lee: Lee is Robin to Ted Cruz's Batman and whenever there are conservatives fighting the Democrats or the Republican Establishment, he's right in the mix. Replacing Bob Bennett with Mike Lee turned out to be the biggest upgrade since Ronald Reagan took over for Jimmy Carter. 9) Mark Levin: Granted, Levin's push for an Article Five convention is a longshot, but it's a serious idea in an environment where the Democrats and Republicans all too often come across as preschoolers arguing about who gets to play with the toy truck next while the school burns down. 8) James O'Keefe: Who would have ever guessed that one guy with a gaggle of interns, some secret cameras, and a few tricks taught to him by the late, great Andrew Breitbart would be more effective at breaking big stories that humiliate entrenched interests than the New York Times or Washington Post? 7) The Senate Conservatives Fund: In a world where everyone from the GOP leadership to Karl Rove to the Chamber of Commerce to the NRSC laughs at the idea that conservative voters should actually have any influence on the Republican Party, the Senate Conservatives Fund is doing more to keep the Party honest and responsive than anyone else out there. If not for groups like the Senate Conservatives Fund, Heritage Action, Freedomworks, Americans for Prosperity and the big Tea Party groups out there, the Republican Party would spend all of its time fighting for higher spending, amnesty for illegal aliens and corporate tax breaks before it started working hand and glove with the Democrats to massage the kinks out of Obamacare. 6) David Vitter: One of the dirty little secrets of Obamacare is that Republicans like John Boehner worked behind the scenes with Democrats to get exemptions from the law for themselves and their staffs. Little people like you may have to suffer under Obamacare, but they secured a nice, fat subsidy for themselves. David Vitter unapologetically insisted that Congress and its staff should live under the same laws they forced on everyone else and he took a lot of heat for doing what any lawmaker worth a hill of beans should be doing. 5) Rick Perry: It's too bad Rick Perry had a couple of bad presidential debates early on in 2012 before he elevated his game because he's arguably the best governor in America (It's "arguably" because Scott Walker isn't too shabby either). He's a fearless, aggressive conservative and he is to job creation what Peyton Manning is to throwing touchdown passes. 4) Rand Paul: He humiliated Barack Obama with his drone filibuster and there are undoubtedly NSA snoops that spit on the floor every time they hear his name. A lot of people in the conservative movement talk about "liberty," but Rand Paul fights for it in the Senate. 3) Wayne LaPierre: After the Sandy Hook shooting, Democrats were demanding gun control and as per usual, Republicans like John McCain couldn't wait to surrender in the face of slanted polls showing Americans were anxious to get rid of our guns. Then, Wayne LaPierre and the NRA showed up. They didn't fold because Democrats said mean things about them. They didn't throw their principles out the door for the sake of political convenience. Instead, they stood firm, offered up a better idea to protect schools (Armed guards) and they stopped gun control dead in Congress. They were effective, they were smart, and they won, thanks to Wayne LaPierre. 2) The Robertson Family from Duck Dynasty: The Robertson family isn't political per se, but they are conservative Christian capitalists who've done an amazing job of promoting God, family and guns while becoming the #1 reality show on cable television. When Phil Robertson was suspended for simply stating what most Christians believe about homosexuality, the family stood with him and they won. TV Shows like Duck Dynasty don't last forever, but the lesson should. When Christians stand together for what they believe, they win. 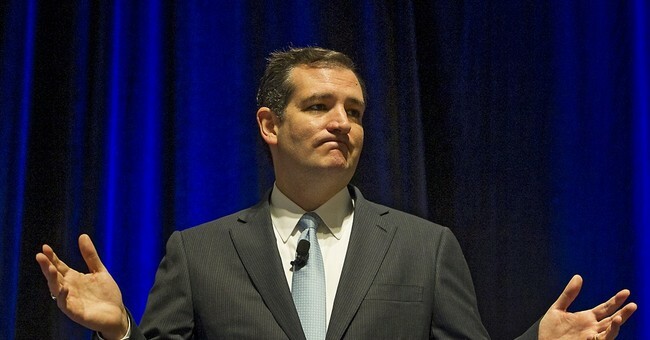 1) Ted Cruz: Why Ted Cruz for conservative of the year? Because not only has he filled Jim DeMint's role as the leader of conservatives in the Senate, he's tough, he's smart and he's willing to fight, which is more than can be said for John Boehner, anybody in the Senate leadership, or our last two presidential nominees. Although Cruz didn't win the defund fight, it's hard to miss the fact that the GOP could have easily wrung concessions out of the Democrats on the issue if we had competent leadership and the claims that the GOP would be badly damaged by the battle all turned out to be 100% wrong. Moreover, because of Cruz's efforts, every Democrat in the Senate is now on the record voting in favor of Obamacare, voting against a delay and voting for an Obamacare subsidy for themselves and their staffs. That will probably be worth a couple of seats in 2014. Like Jim DeMint before him, Cruz doesn't win every battle, but the fact that we have men like him in there fighting for us keeps conservatives from giving up hope.